Our specialty at River Dance Lodge is all-inclusive adventure resort vacation packages with activities that highlight the best of each season. While we are not exactly a guest ranch, we do work with an outfitter to offer horseback riding near the resort and horseback riding in the Bitterroot Mountains is fabulous! 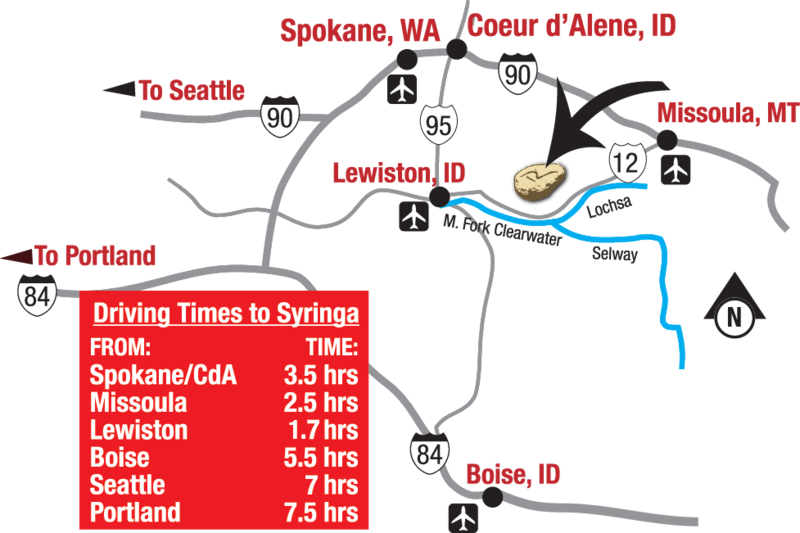 There are trails from our Idaho lodging to hot springs and it’s possible to ride up the Selway River and go fly fishing. You may want to simply stay in our cabins and plan your own agenda. We recommend our Serenity Package that includes accommodation and meals at our onsite restaurant, the Syringa Cafe. Or you may just want a cabin rental or try one of our glamping tents, we can accommodate that as well. We invite you to experience our superlative guest service and warm hospitality at our Idaho resort for your next family adventure vacation, group or corporate retreat or romantic getaway.